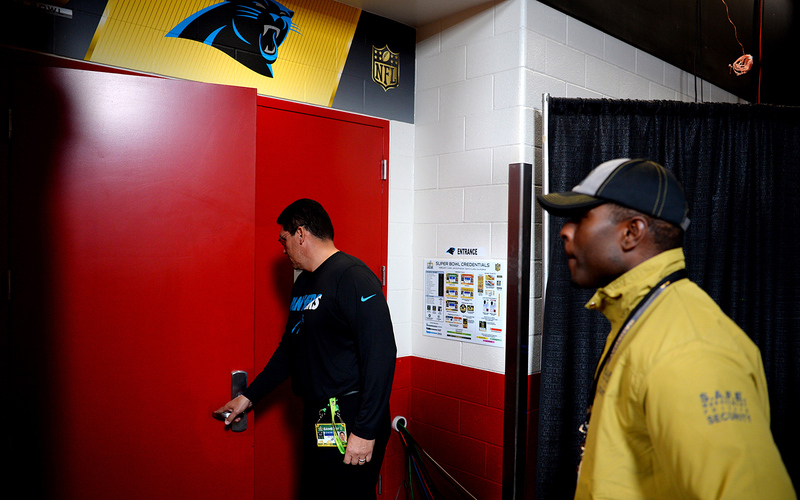 Super Bowl 50 is seen by hundreds of millions of people worldwide, but only a select few get a view from the inside. 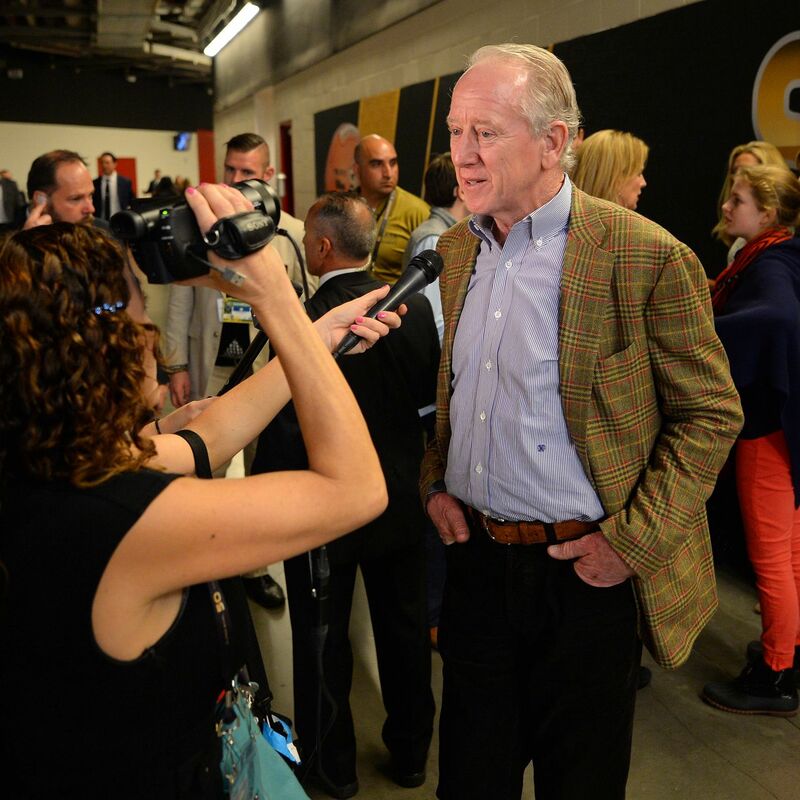 Former NFL great Archie Manning gives an interview after his son Peyton won his second career Super Bowl. 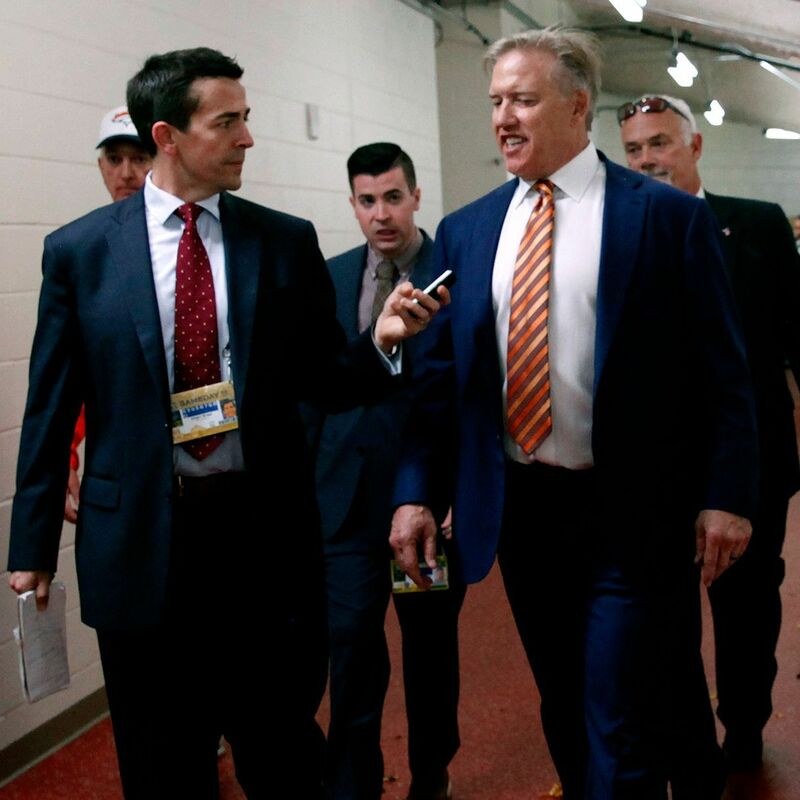 John Elway, the Broncos' executive vice president and GM, is interviewed in the tunnel after the Denver's 24-10 win over the Carolina Panthers in Super Bowl 50. 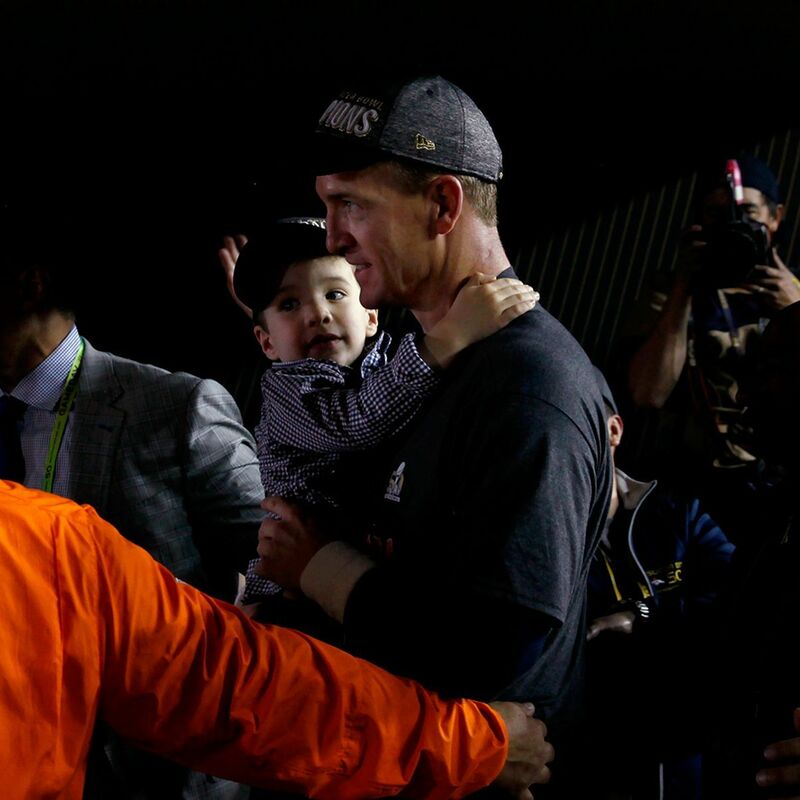 Peyton Manning carries his son off of the field defeating the Carolina Panthers, 24-10, at Super Bowl 50. 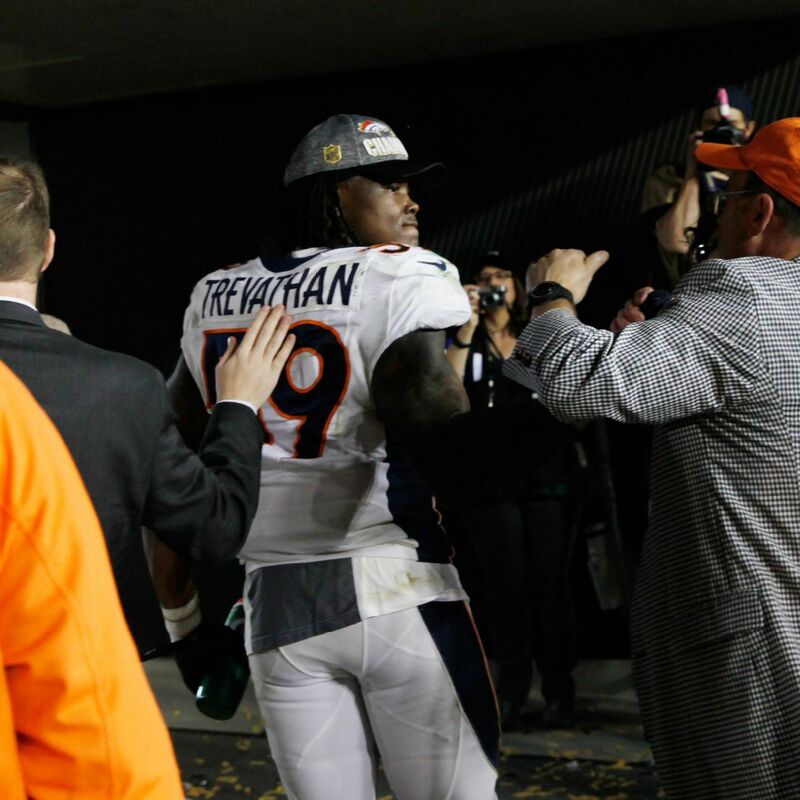 Denver Broncos linebacker Danny Trevathan heads to the locker room but takes one last look back at the field after winning Super Bowl 50. 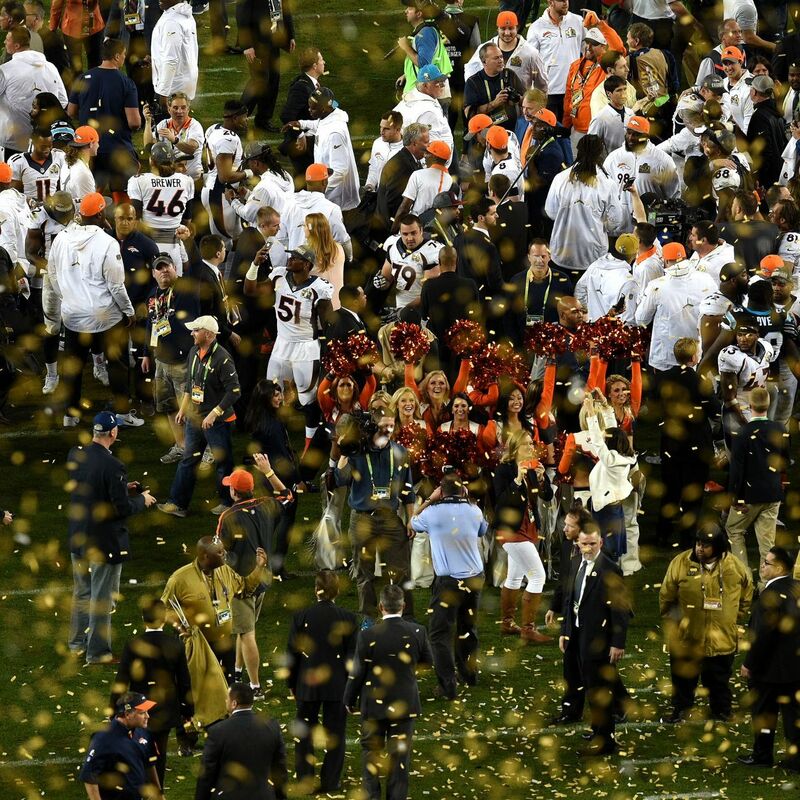 The Denver Broncos celebrate winning Super Bowl 50 on the field at Levi's Stadium while media, cheerleaders and staff linger in the open space. 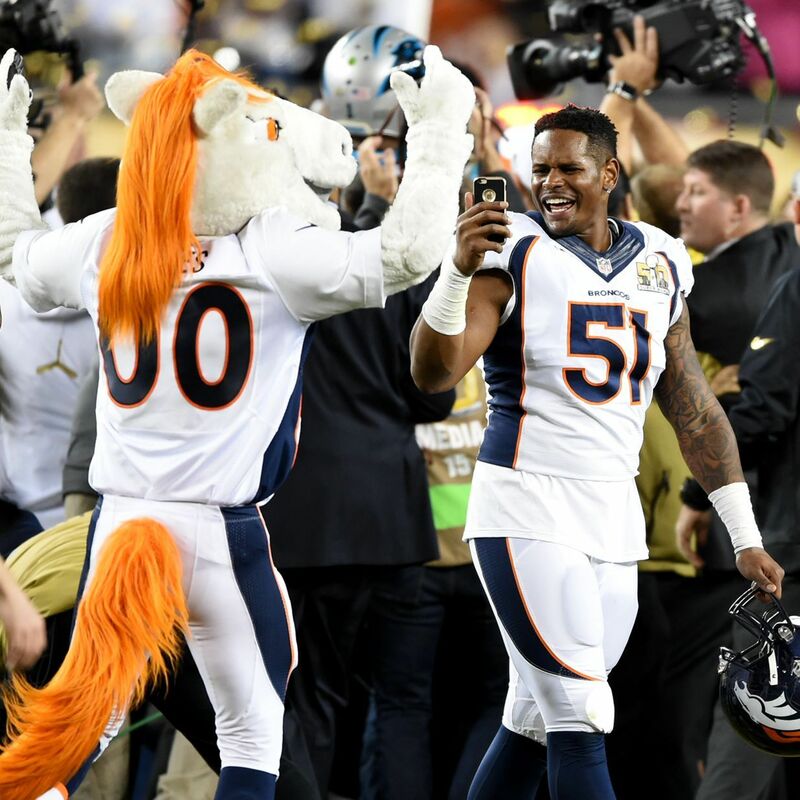 Denver Broncos middle linebacker Todd Davis takes photos of Miles the mascot right after winning Super Bowl 50. 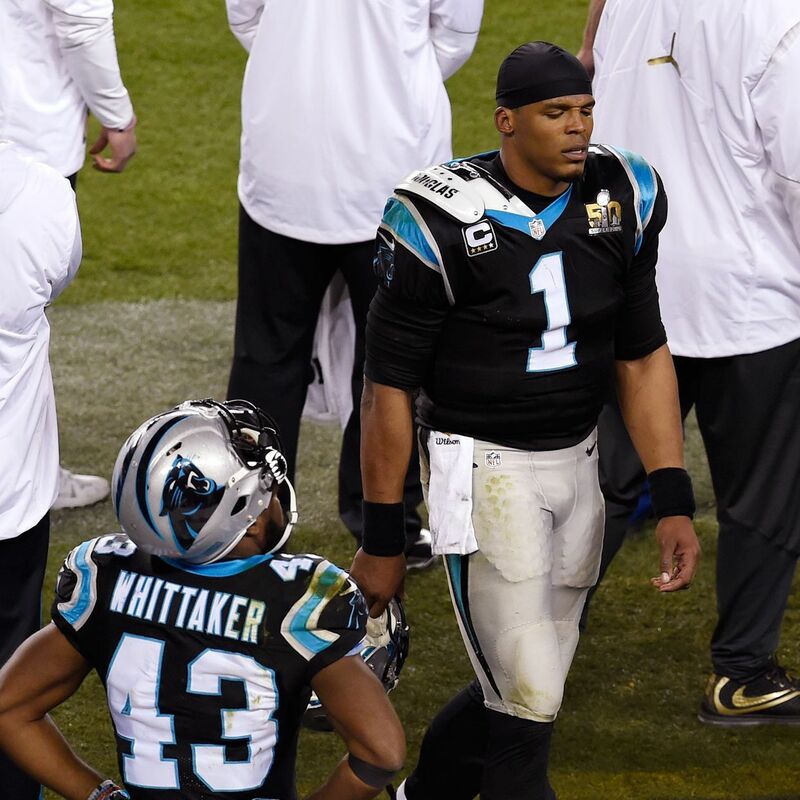 Carolina Panthers QB Cam Newton walks back to the bench after failing to convert on third down late in the fourth quarter. 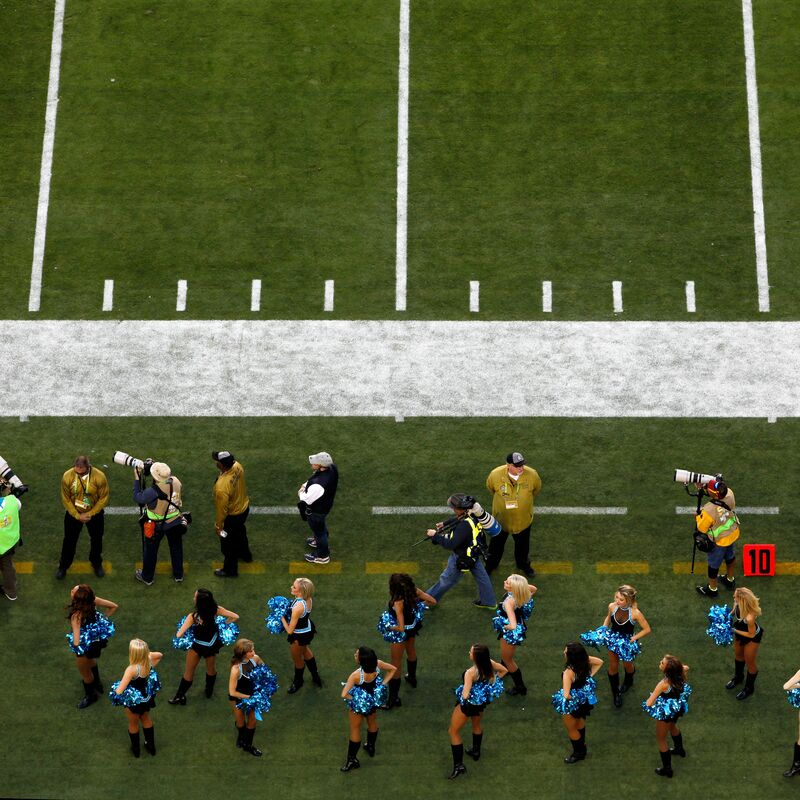 Photographers and cheerleaders move up and down the sidelines during Super Bowl 50. 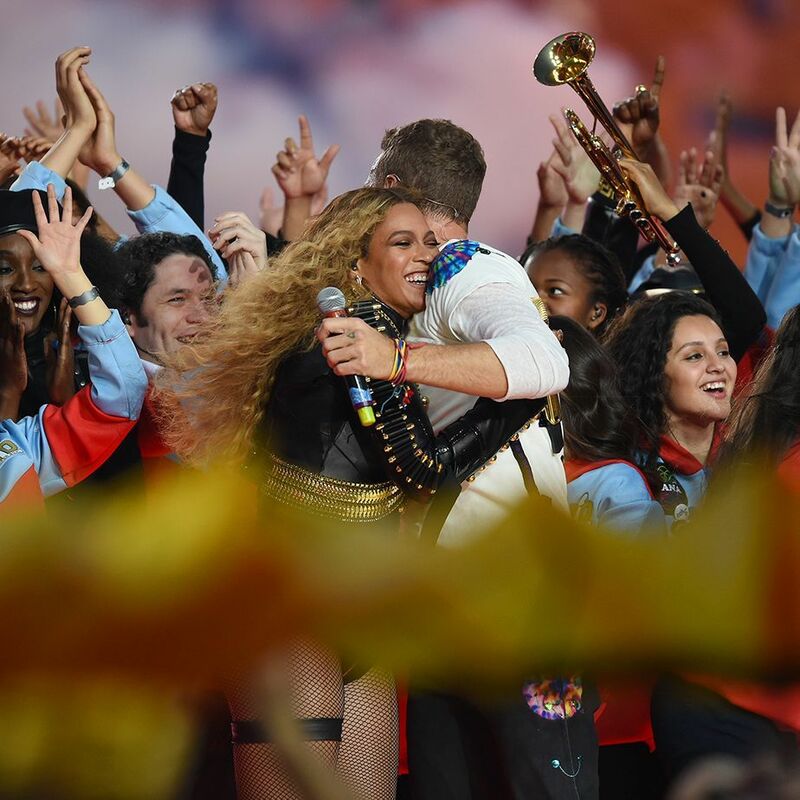 Chris Martin and Beyonce hug it out after performing with Bruno Mars during the halftime show. 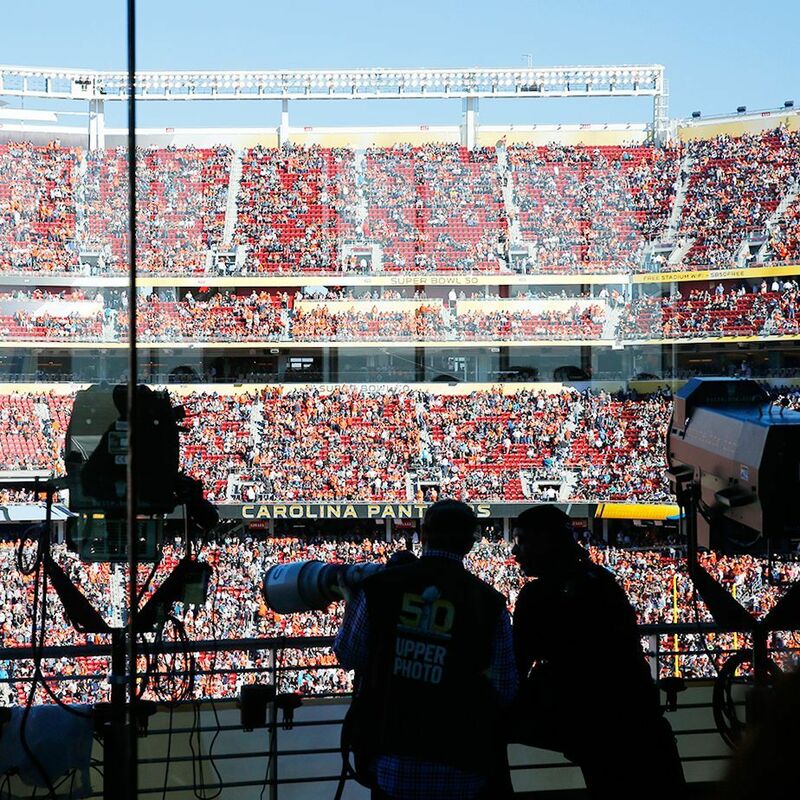 Fans take a breather and enjoy the view of Santa Clara during Super Bowl 50. Beyonce's dancers get ready to perform during the halftime show and there's always time for a selfie. 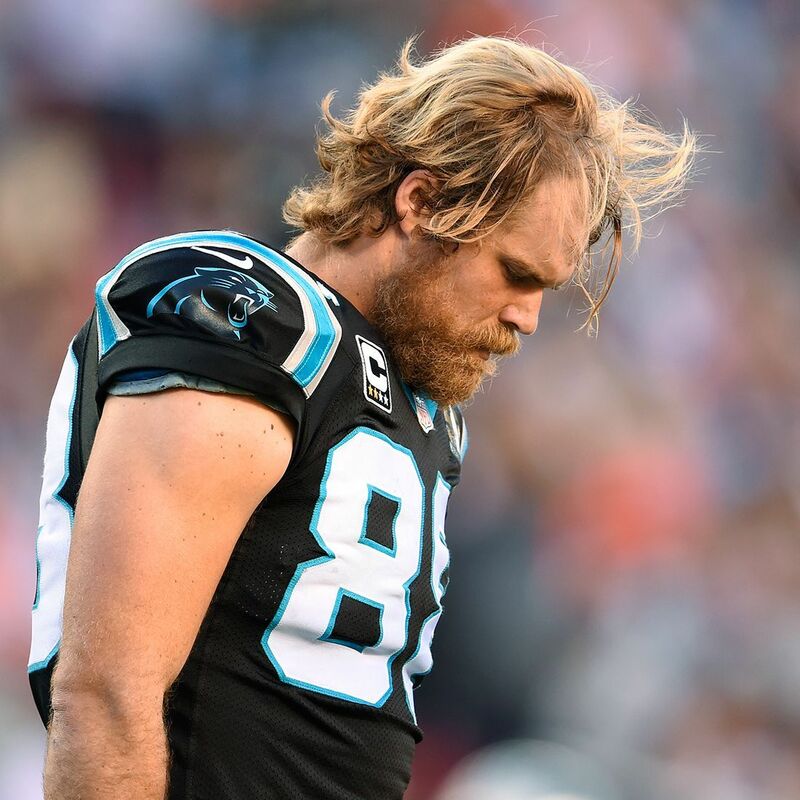 Carolina Panthers' Greg Olsen looks to be reflecting on the Panthers first-half play while walking the sideline. 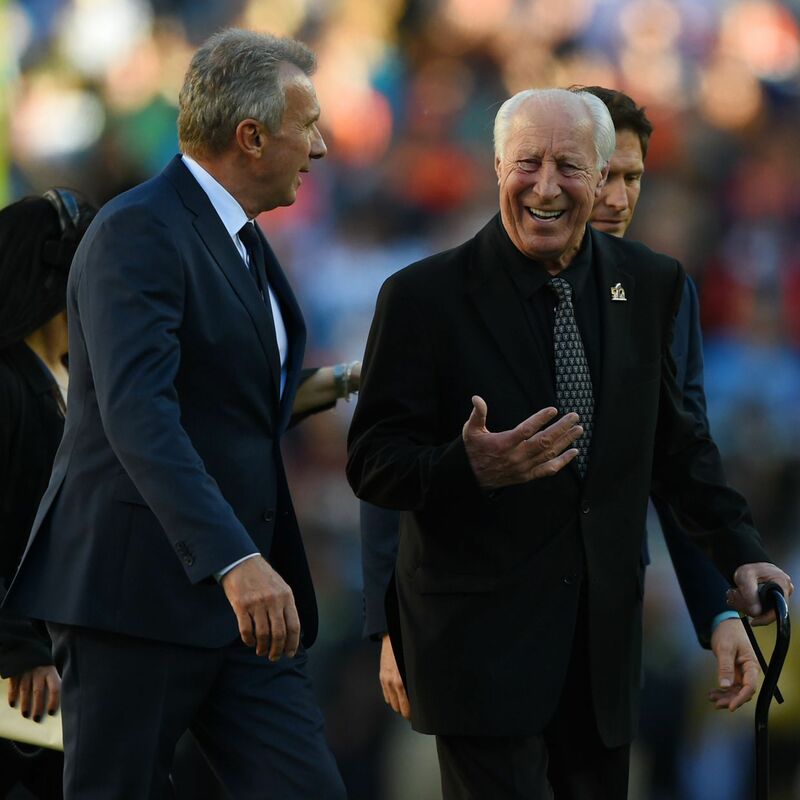 Joe Montana and Fred Biletnikoff engage in a conversation as they walk across the field before the kickoff of Super Bowl 50. 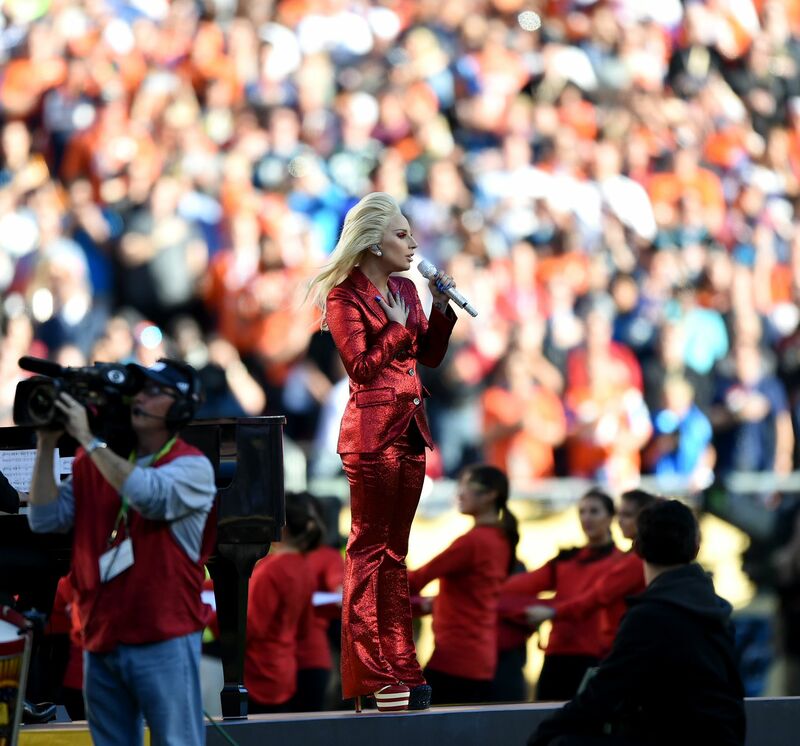 Lady Gaga sings a breathtaking rendition of "The Star-Spangled Banner" just before kickoff of Super Bowl 50. 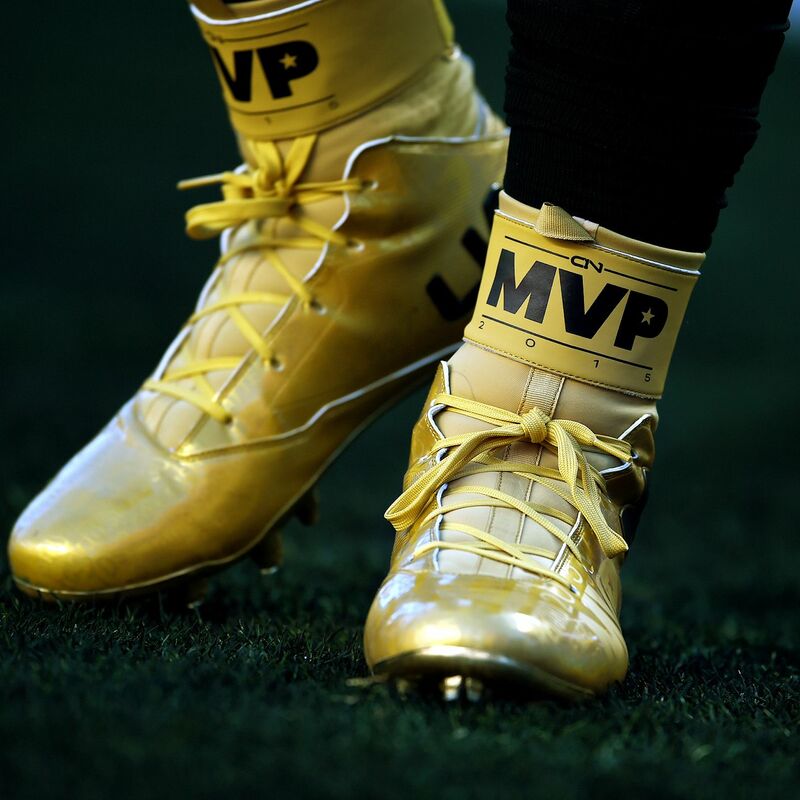 Close-up view of Carolina Panthers quarterback Cam Newton's golden MVP cleats on the field just before the game. 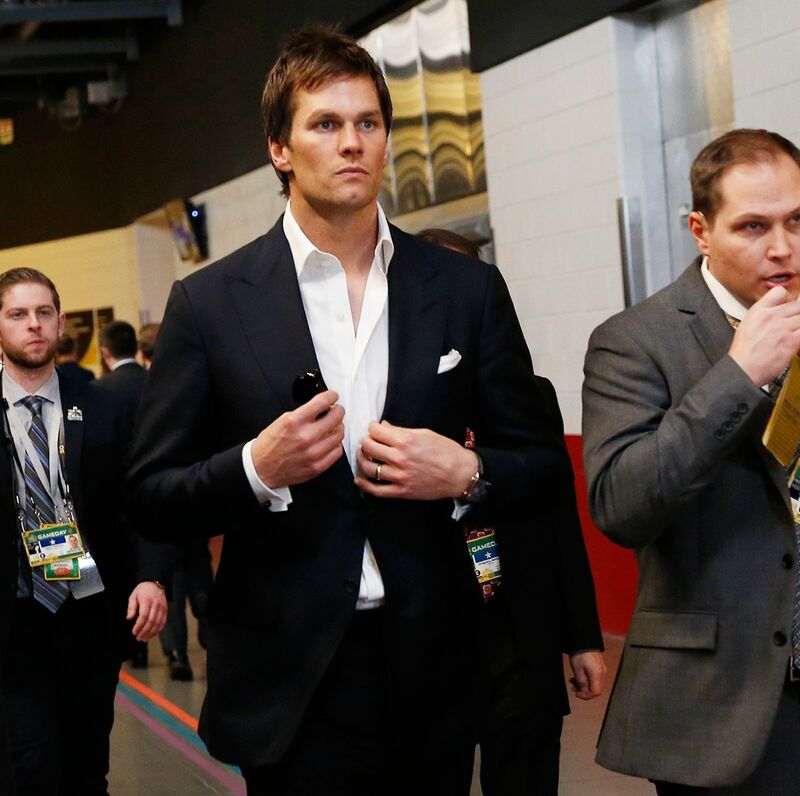 New England Patriots quarterback Tom Brady is escorted through the tunnels of Levi's Stadium for a Super Bowl MVP ceremony before the game. 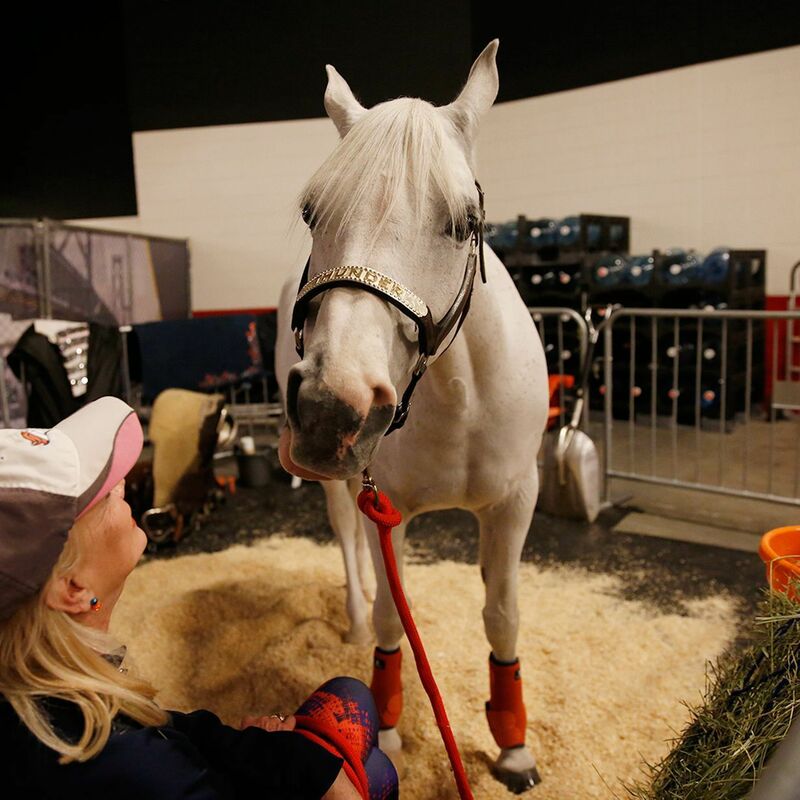 The Denver Broncos' live mascot Thunder is seen under Levi's Stadium with one of his handlers. 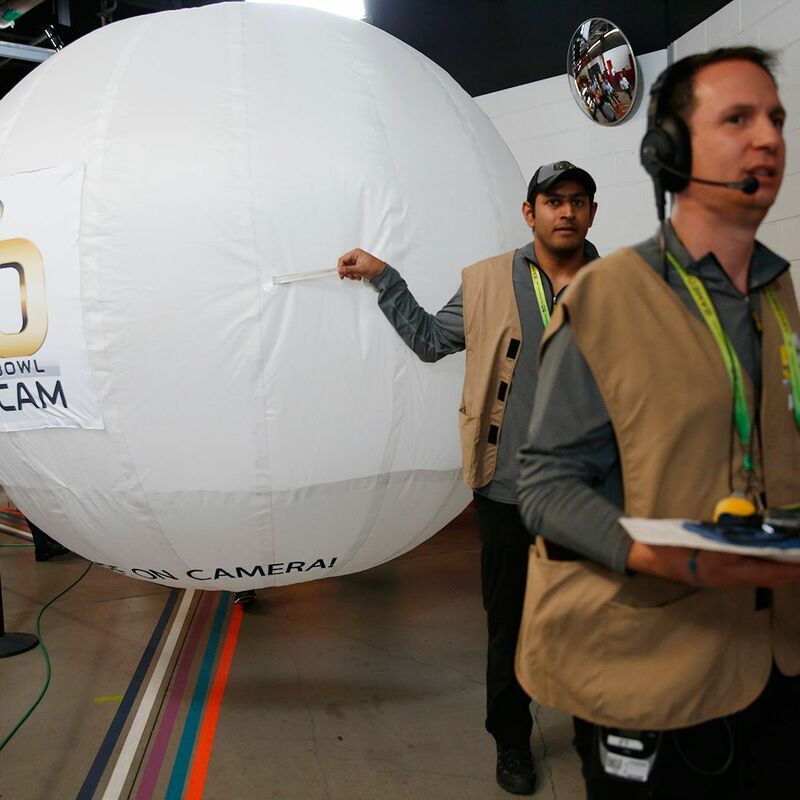 The Super Bowl 50 Fan Cam, which will capture 360-degree images inside the stadium, is brought to the field before the game. 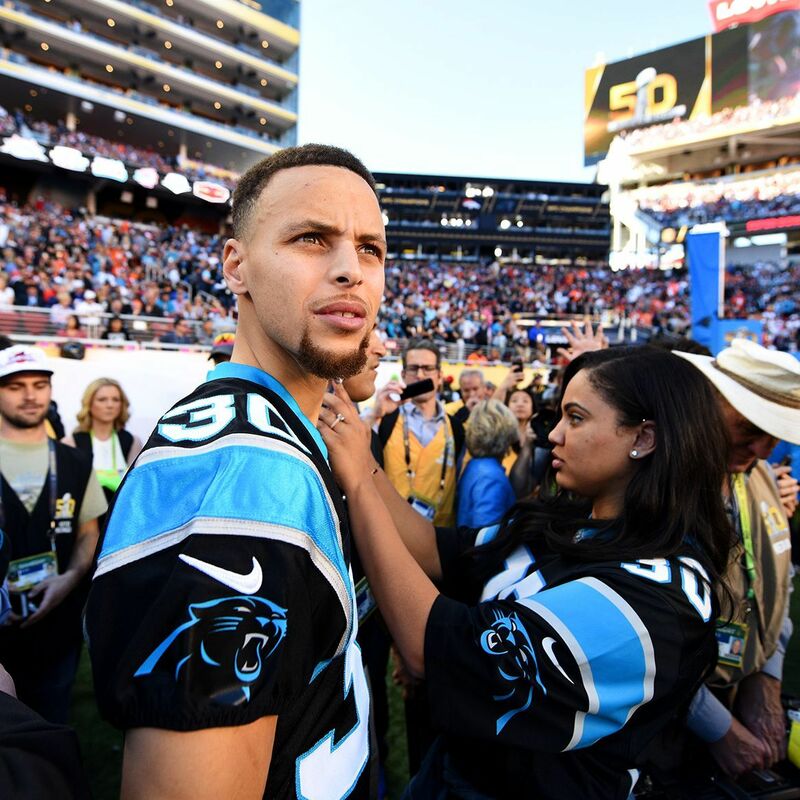 Steph Curry of the Golden State Warriors stands on the field before beating the drum to introduce the Carolina Panthers. 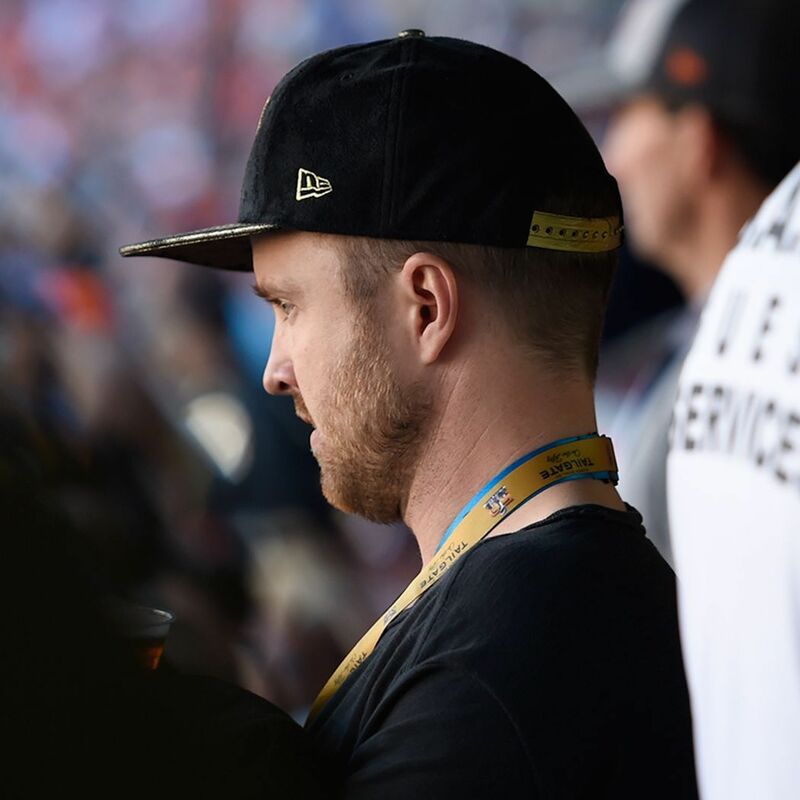 Actor Aaron Paul awaits the beginning of Super Bowl 50 in the crowd at Levi's Stadium. 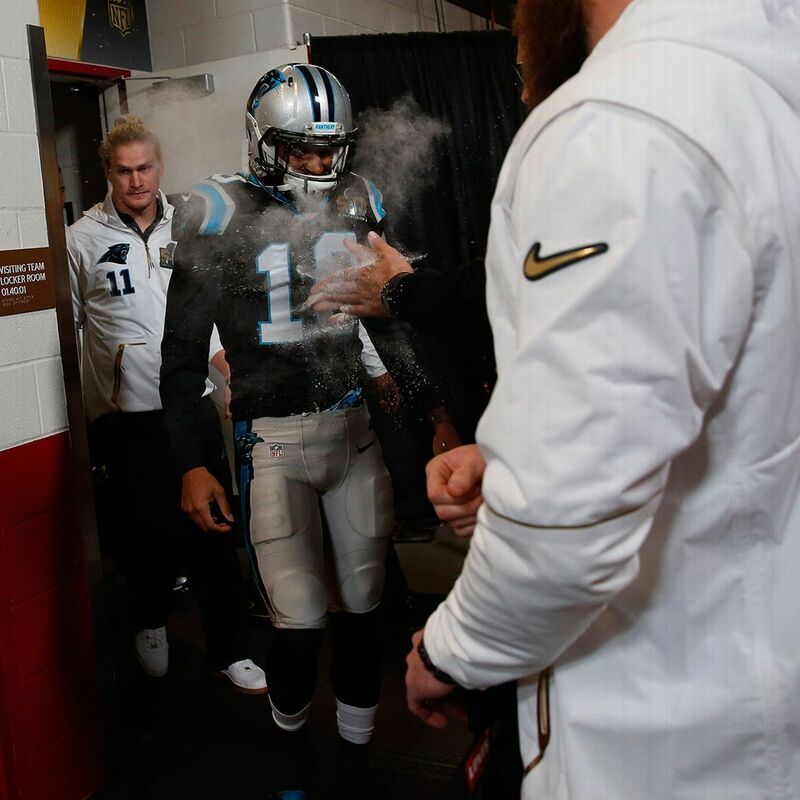 Carolina Panthers wide receiver Corey Brown gets pumped up outside the locker room as he makes his way to the field. Broncos fans decked out in blue and orange get excited as the game inches closer to kickoff. 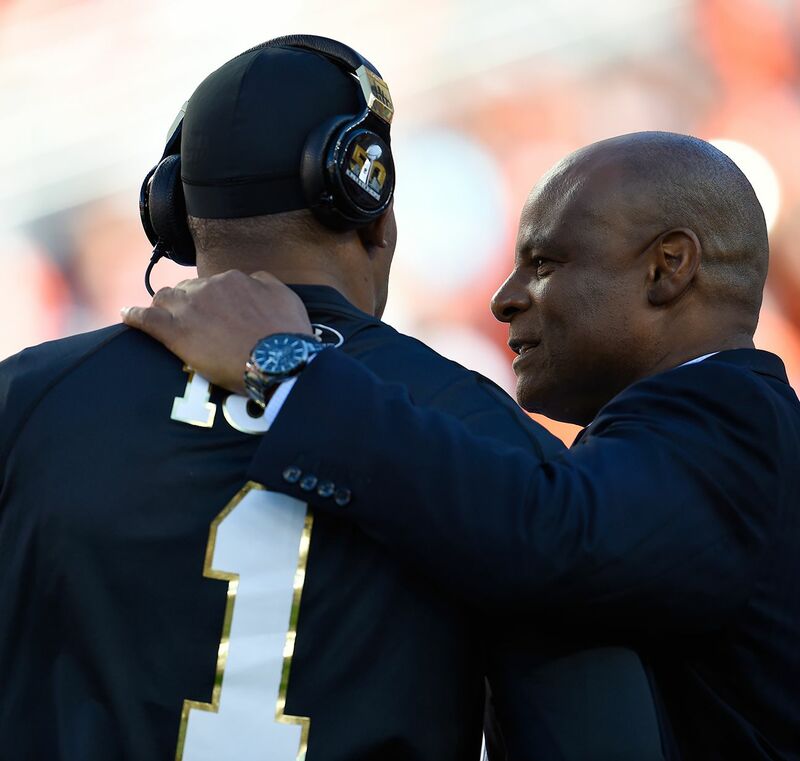 Cam Newton, left, speaks with Hall of Fame quarterback Warren Moon on the sideline during warm-ups for Super Bowl 50. 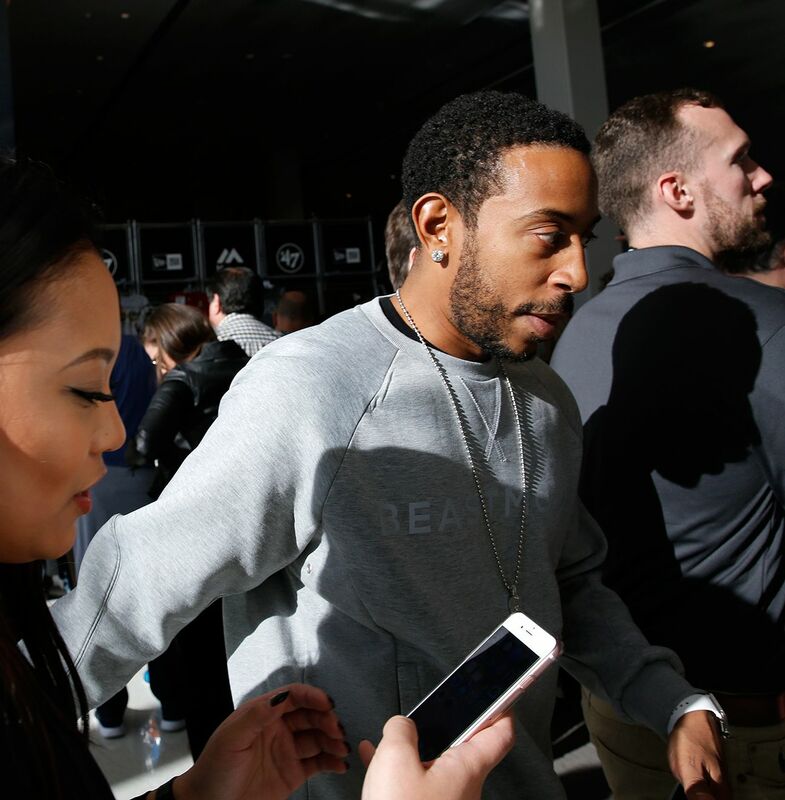 Ludacris makes his way through the crowd before the Super Bowl festivities getting underway. 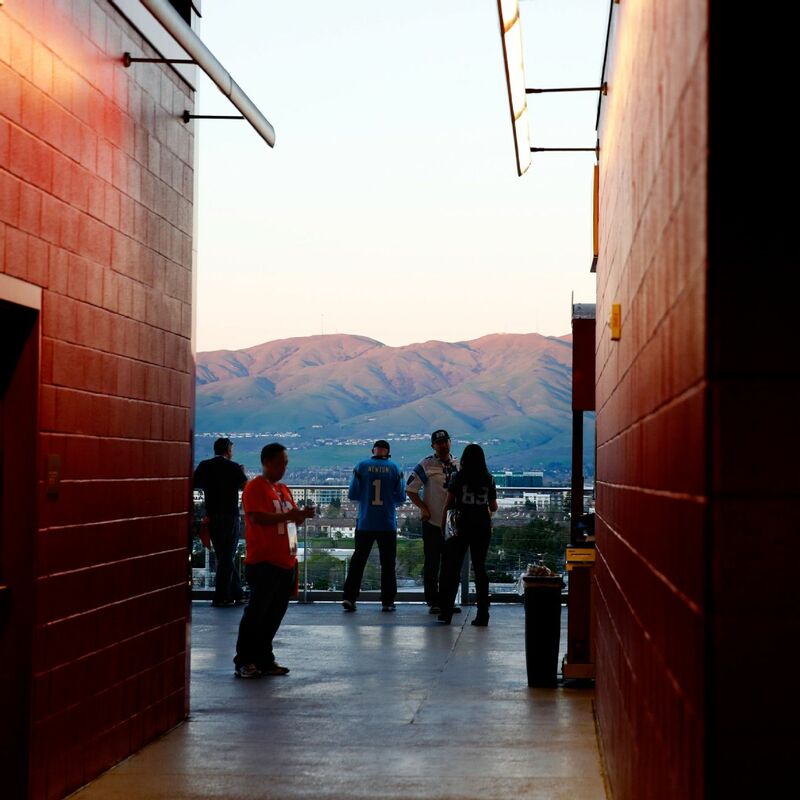 A look from the upper deck, where some media were stationed. 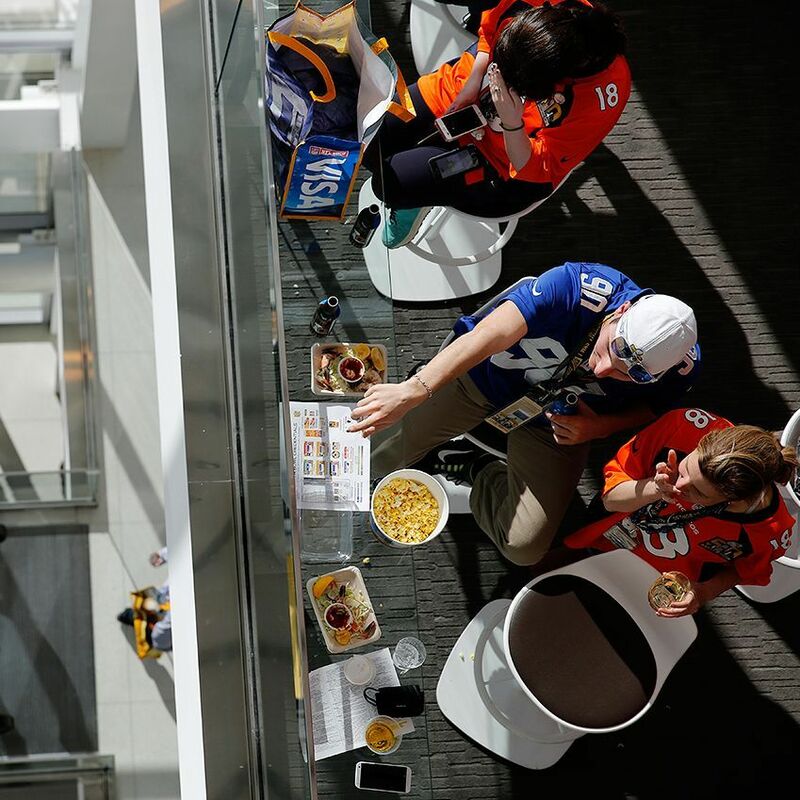 Fans enjoy the snacks of Levi's Stadium while they wait in excitement for the Super Bowl to get underway. 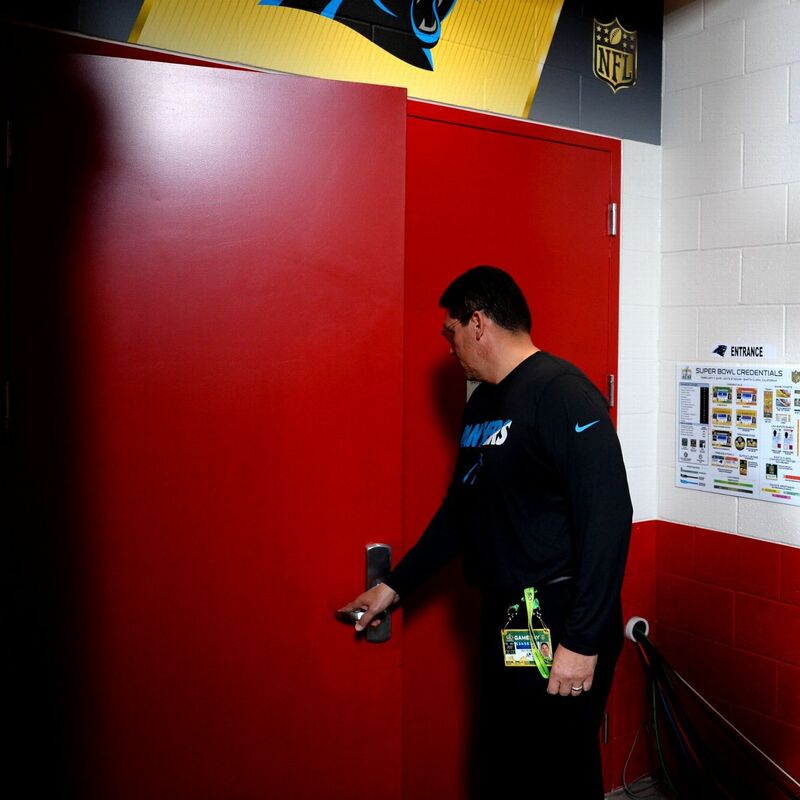 Panthers Head Coach Ron Rivera has a quiet moment in the corridor of Levi's Stadium as he enters the locker room a few hours prior to the game. 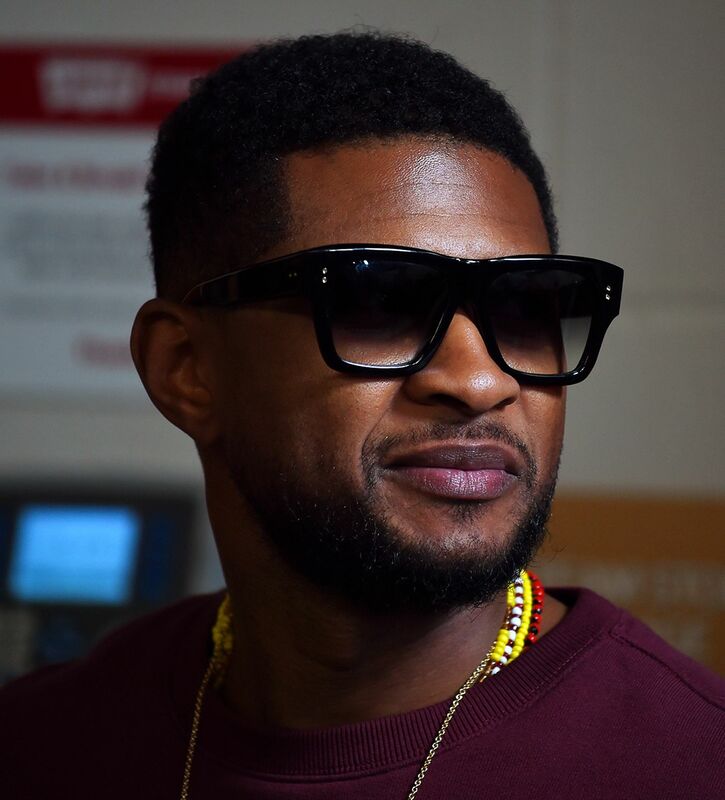 Usher is seen relaxing in the bowels of the the stadium before watching the game. 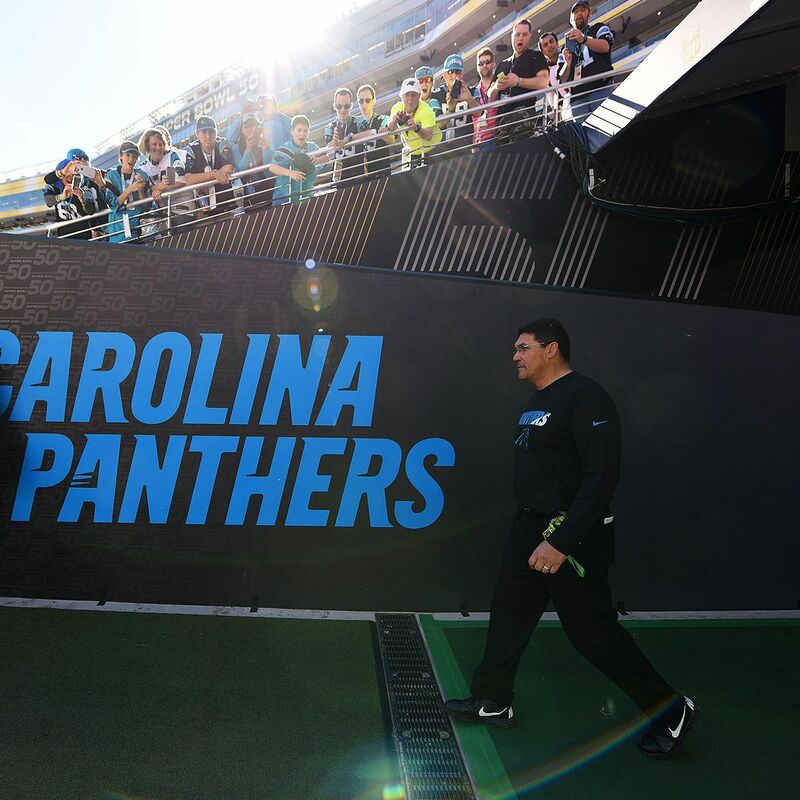 Carolina Panthers head coach Ron Rivera walks on to the field during warm-ups before Super Bowl 50. 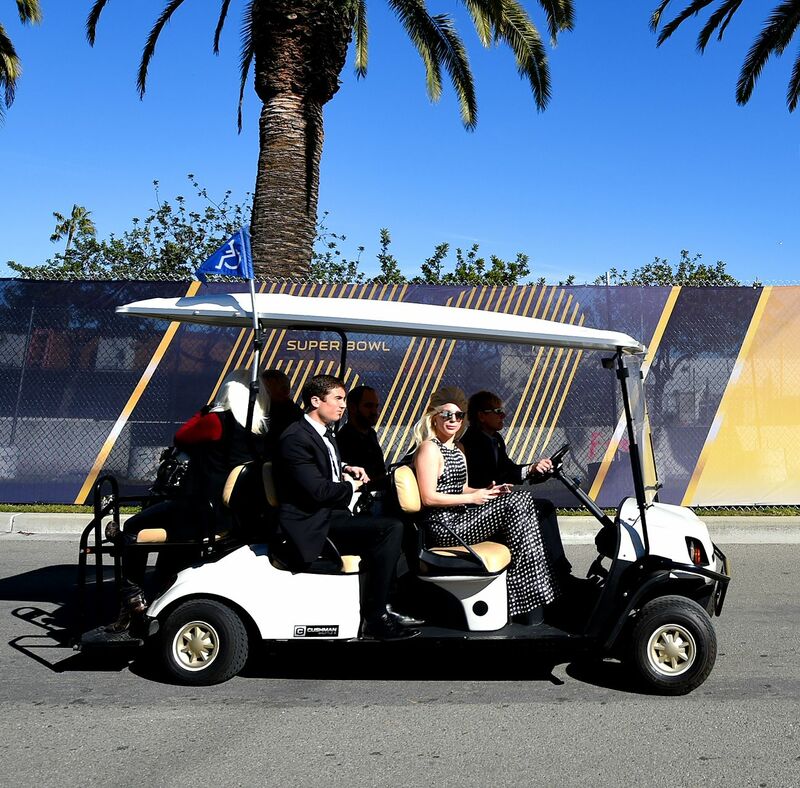 Lady Gaga is escorted in a golf cart around the roads surrounding Levi's Stadium on her way to signing the national anthem. 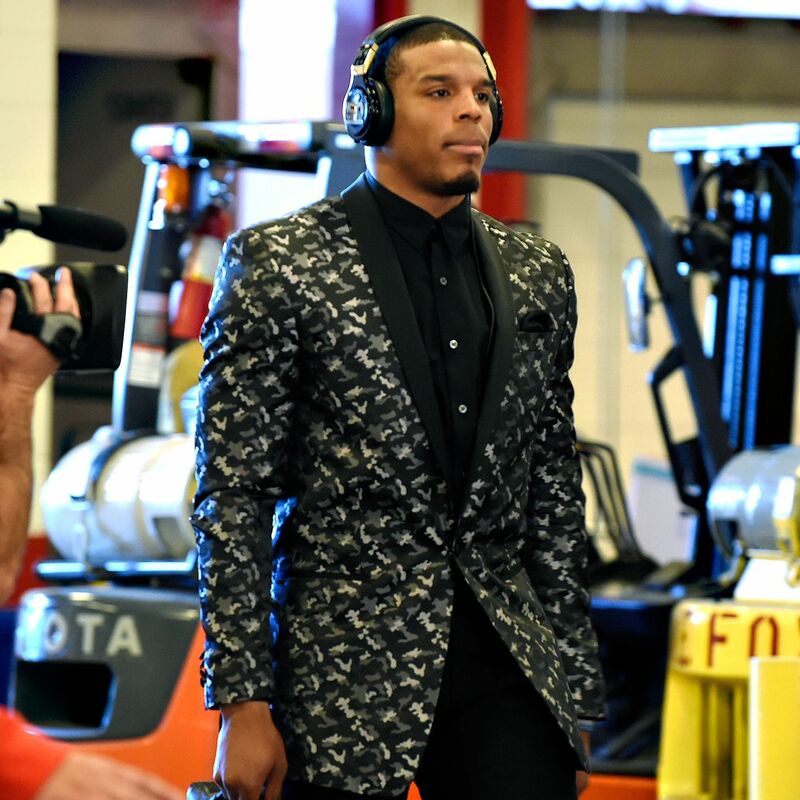 Cam Newton, dressed in a camouflage sport coat, walks through the tunnel of Levi's Stadium on his way to the locker room before his first Super Bowl appearance. 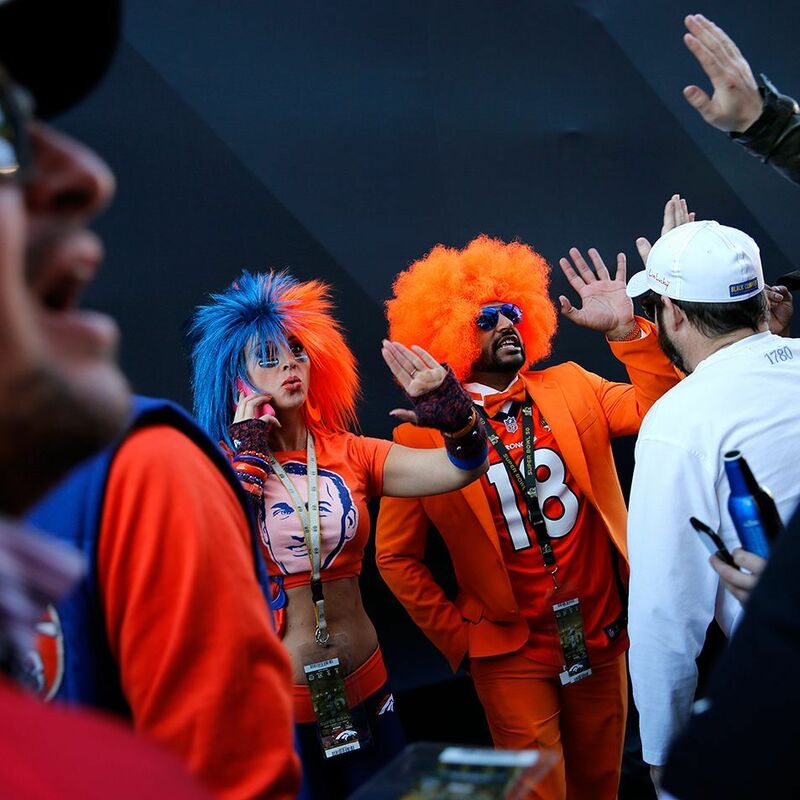 Denver Broncos cheerleaders appear excited as they arrive at Levi's Stadium to perform at Super Bowl 50.